Jeffrey Finch, senior vice president and general manager, products and markets for Eaton's hydraulics business, makes a point at a recent talk. ORLANDO, Fla.—Eaton Corp. P.L.C. has no buyer's remorse from its purchase 16 months ago of a Turkish manufacturer of industrial and hydraulic hose. When Eaton acquired Polimer Kaucuk Sanayi ve Pazariama A.S. in June 2012, it received more than just a company with $335 million in annual sales. The deal propelled the Cleveland-based firm to the top ranks of the world's industrial hose producers. "I think we found pretty much what we had anticipated," said Jeffrey Finch, senior vice president and general manager, products and markets for Eaton's Hydraulics business. "It confirmed why we bought it, for access to the industrial hose space. It makes us one of the global leaders in industrial hose and reinforced our entire hydraulic hose portfolio." The purchased also strengthened Eaton's global footprint, Finch said. "Having a plant in Turkey helped round out where we have all of our other manufacturing plants around the world." While Eaton has been involved in the industrial hose market for more than a decade through such acquisitions as Boston Weatherhead and Synflex, the purchase of Polimer takes the firm to another level. "This takes us across the board—bulk tank truck hose, oil and gas, food and beverage. You name it, anyplace you'll find non-hydraulic hose," said Finch. 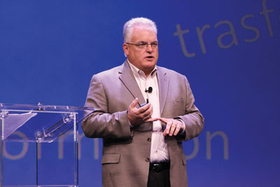 He discussed the progress the firm has made since the purchase during Eaton's recent distributor meeting in Orlando. He said that Polimer—which was known in the business by its SEL Hose brand name—brought a great team and product array, along with a different way to go to market. In the hydraulic hose business Eaton always has been a supplier of assemblies that included the hose, couplings and other accessories. Polimer primarily sold bulk hose under private labels. "That was their focus," Finch said. "This is a bulk hose business primarily targeting private labels, and they did a very effective job catering to a broad range of distributors and their end users around the world. It's a very effective model." Finch said Polimer grew dramatically. "It's a model we intend to proliferate and meld into our Eaton brand family of products," he said. On the other hand, the executive said Eaton also has done a good job at bringing some of those products into more traditional Eaton distribution sales, "and have found an equilibrium that seems to have satisfied everybody." With Polimer being a bulk products supplier, that also opens up opportunities for Eaton to offer its line of metal product fittings to the sales channels it acquired. "We also can take some of the things that we might have had insufficient coverage on within our core product portfolio and bring that into our channel," Finch said. "It's a two-way street." Polimer Kaucuk was founded in 1957 and produced rubber hose at a plant in Cerkezkoy, Turkey, and other lines at a facility near Istanbul. It also had a braided hydraulic hose facility in Caesarea, Israel, that operated under the FilFlex Ltd. name. Among the moves Eaton is making in integrating Polimer is consolidating production from the Istanbul plant into Cerkezkoy and closing the Israel facility. Finch said the Cerkezkoy factory is state-of-the-art and one of the biggest industrial hose facilities worldwide. "The plant was relatively new and it has been undergoing a series of expansions almost annually," he said. "So we bought a very up to date plant and capital equipment, because there's been a lot of new investment to support their growth over the last decade or so. It didn't really require a whole lot of additional investment by us." The consolidation of the Istanbul site to the Cerkezkoy campus—located about 90 minutes away—is under way, he said. It was not disclosed how many jobs will be eliminated. Eaton made the decision in June to suspend operations at the Caesarea, Israel, factory, with operations expected to cease by the end of the year. The site made hydraulic hose used in applications such as agricultural machines, but the business had experienced a substantial decline in orders since 2012, according to the firm. About 40 employees will lose their jobs. After the announcement, a number of local parties said there were several companies interested in buying FilFlex, but that Eaton wouldn't sell. Finch said Eaton never looked into divesting the plant because it planned to move the equipment to other facilities around the world. He said it was a good operation making an excellent product, but it offered only capabilities for braided hose. "As we looked at our footprint with hose plants on four continents, this was one from an output standpoint where the decision was made to consolidate elsewhere," he said. In addition, Eaton is moving production from a hose factory in Belgium that came in the Synflex deal to the plant in Cerkezkoy. The Belgium unit produced mainly thermoplastic hose. "When you acquire this big of a capability, it gives you a chance to reassess your manufacturing footprint," Finch said. "Where can we best serve our customers and distributors leads to decisions like those." The Cerkezkoy operation will be by far Eaton's largest industrial hose factory around the world. About 70 percent of the output is sold in Europe, the Middle East and Africa, with the rest exported, mainly to Asia-Pacific and the Americas. 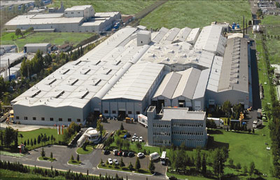 Eaton Corp. said it is satisfied with the acquisition of this hose facility in Turkey. Eaton is no stranger to acquisitions, and follows a detailed process of integration when bringing new firms into the fold. Finch said the process is about halfway done with Polimer. He said a laundry list of things remains to be done, including such tasks as integrating financial systems and deciding how to handle material management. "Everything is being phased in," Finch said. "They have some best practices that we will absorb into the business, and we have some best practices we will instill there. It's a cross-functional effort and everybody goes through the same stage-gate process." Discussions have brought about some improvements in supply chain management, and Polimer had some unique ways to make mandrel-built hose that will aid other Eaton operations. "Because we weren't nearly as far into the industrial business as them, they have some nice processes that I think will help us in some of our other hose plants," he said. And as Eaton finishes integrating the Turkish firm, it remains on the lookout for other growth opportunities, both organically and through acquisition. "We certainly have some product, capability and geographic gaps that we're always looking to consider ways to fill," Finch said. "Whether via internal innovation or external acquisition, we're just assessing all of our options."